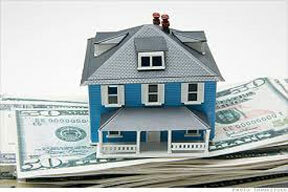 Are you currently on your mortgage payments and not owe more than your house is worth? On Thursday, May 15, 2014 Florida housing officials reopened a federally funded program that pays down loan balances by up to $50,000. To qualify, the home must be a primary residence purchased before January 2010 and have an unpaid first mortgage balance not household income. A family of four cannot exceed 140 percent of the average median income for an area. The 140 percent figure totals $95,200 in Miami-Dade County and $96,600 in Broward County. In Monroe, 140 percent of the median is $115,360. Homeowners must also owe at least 125 percent of the property’s current market value. Reopening the $350 million Hardest Hit Fund Principal Reduction Program gives Floridians a second shot at a pro-gram that was first announced in September but closed a few days later when the number of applications hit a 25,000 cap. Unlike last time, there is no automatic cutoff for applications, Cecka Rose Green, communications director of the Florida Housing Finance Corp., said at a news conference recently. However, she stressed that homeowners who applied in September should not reapply even if they were initially rejected or are still waiting to hear. Instead, they should contact the advisor they were working with.